If you’ve got the talent, there will always be a sea of potential employers lined up to hire a qualified graphic designer. Of course, it’s that qualified part that often trips up aspiring professionals. You can get the background needed to land one of those coveted jobs with instruction from the Ultimate Graphic Design Mastery Bundle. This package of courses, designed to open up your graphic and web design skill set, is on sale right now for just $34, more than 90 percent off its regular price, from TNW Deals. In all, your training will cover seven courses featuring more than 31 hours of content, each offering some unique perspective on graphic design disciplines. 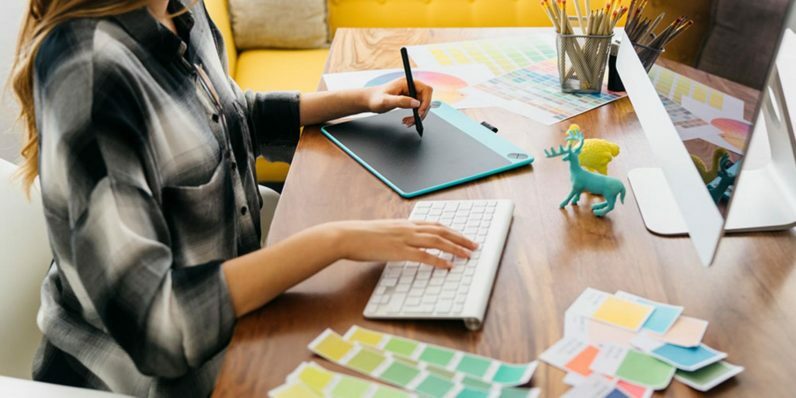 You can get started with the Become a Professional Graphic Designer course, which arms artistic enthusiasts with the opening set of tools needed to get started on a career in graphic design, web design, or other types of digital art. You’ll also dive into Typography From A to Z, helping you understand the importance of text and how to use it for visually stunning logos and other designs. Then you’ll be ready to tackle some key pieces of the famed Adobe Creative Suite roster of programs, an industry-acknowledged benchmark arena for any design pro. You’ll start with the fundamentals of web page building and design with Getting Started with Dreamweaver CC, then move to page layout and desktop publishing basics in Getting Started with InDesign CC before stepping up to more advanced vector graphics and high-end graphics editing with Getting Started with Illustrator CC. Finally, you’ll soup up your photo editing and imaging manipulation skills in Learn Photoshop CC Essentials before learning about graphics outside the Adobe realm with the eye-opening Affinity Designer For Beginners. Once you’re done, this course bundle will team up with your talent to produce a top-notch portfolio capable of getting you in the door with a host of graphic design firms. All that instruction usually costs over $550, so get it all now for pennies on those dollars, just $34 for a limited time.